The REDARC Tow-Pro™ Electric Brake Controllers are designed to suit most common trailer braking applications while requiring minimal dash space and being simple to install and operate. 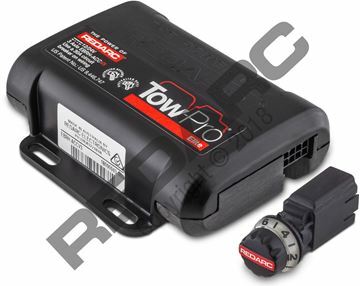 The REDARC Tow-Pro™ Elite range of electric brake controllers offer two types of braking, proportional and user-controlled mode, and features Active Calibration. The REDARC Tow-Pro™ Classic Electric Brake Controller offers a single, user-controlled, mode of trailer braking.